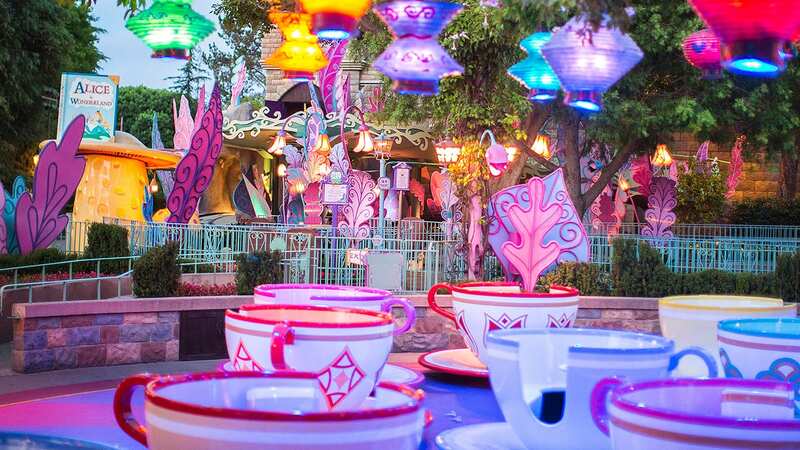 The festivities will take place from April 15, 2018, through March 25, 2019, and both parks will be decorated for the occasion. 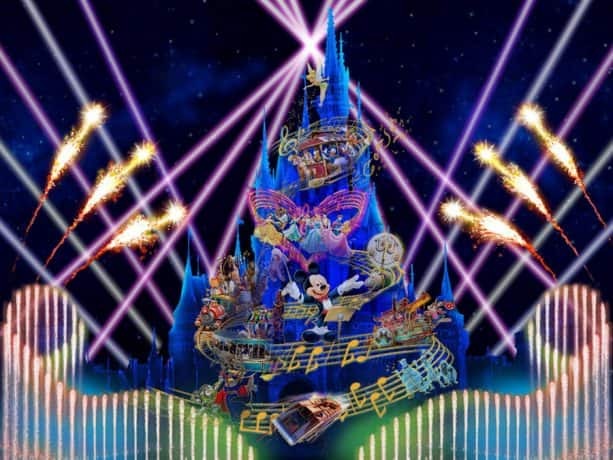 Over at Tokyo Disneyland, World Bazaar will be transformed into Celebration Street. You can also enjoy a new daytime parade, “Dreaming Up!” and catch a glimpse of a new nighttime spectacular “Celebrate! Tokyo Disneyland” at Cinderella Castle. 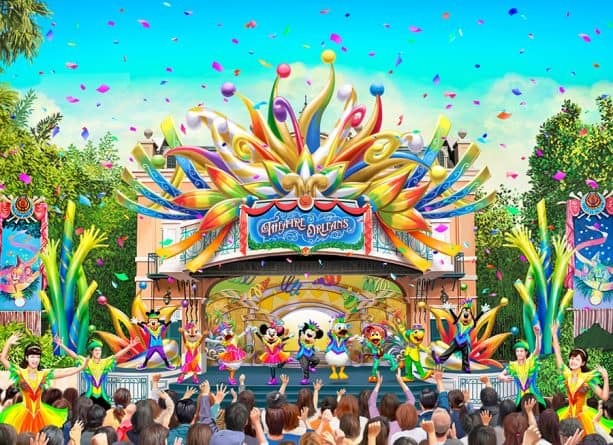 You can join Donald Duck, Jose Carioca, Mickey Mouse and friends during “Let’s Party Gras” at Theatre Orleans, and walk over to the newly reopened “it’s a small world” with dozens of new figures based on characters from Disney films. 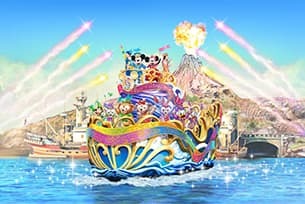 Sail to Tokyo DisneySea to witness the “Happiest Celebration on the Sea,” a brand new water show starring Mickey, Duffy and Friends. 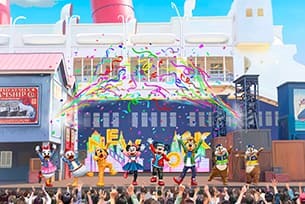 Then visit The Big Apple during a new show at Dockside Stage, “Hello, New York!” Don’t forget to also say “hi” to Duffy and ShellieMay at the Village Greeting Place in their new costumes. Guests across both parks can enjoy the Happiest Mickey Spots – with 35 special Mickey statues, to be exact. They are the perfect place to snap a photo and commemorate the anniversary across the resort. If you have a Happiest Memory Maker, the statues may just say hello back! Special anniversary food and specialty snacks will also be available. I recommend trying the anniversary churros – they look amazing and taste even better. 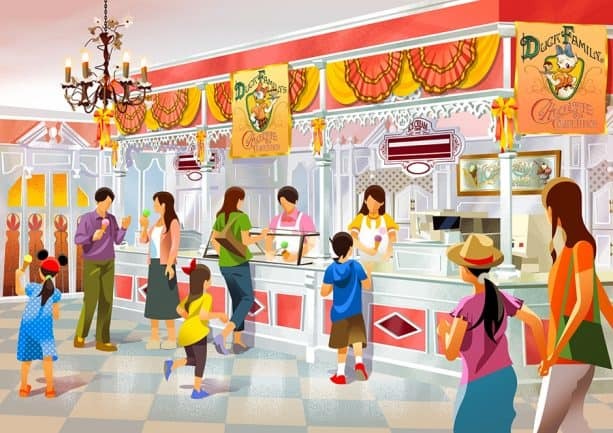 And the Pastry Palace at Tokyo Disneyland will be transformed to feature the fan-favorite Chocolate Crunch. 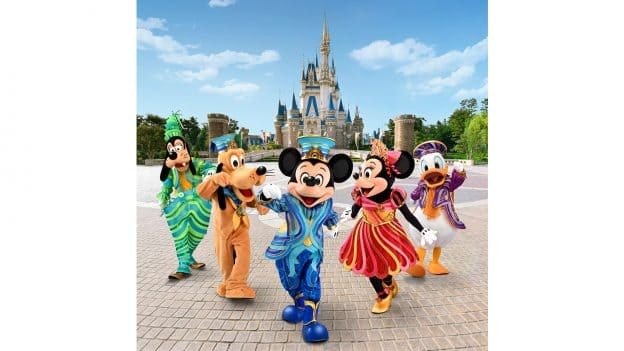 From all of us here at the Disney Parks Blog, congratulations to Tokyo Disney Resort for 35 magical years, and many happy returns! This looks AMAZING!!!! I want to go so badly! Congratulations!!! !